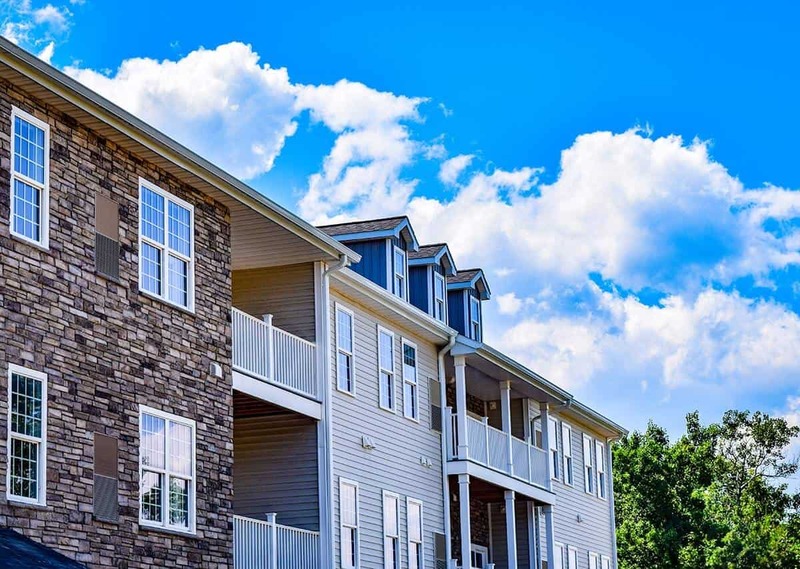 LATHAM, NY – August 22, 2018 – Schuyler Commons is the first apartment complex in the Latham region outfitted with a comprehensive managed smart home solution for residents. A Burns Management property that opened in August 2018 and that’s located right outside the city of Albany, Schuyler Commons has partnered with Epproach Communications to provide its residents with a state-of-the-art managed smart home solution controlled via a branded Smartphone App. The Managed Smart Home Solution provided by Epproach Communications consists of a wireless, multi-IoT-protocol product set controlled via a Smartphone App, branded as the Burns Management App. Using the App, residents can remotely control each product included inside the Epproach Smart Product Set. The basic Smart package implemented at Schuyler Commons includes remote-controlled door locks and thermostats, but residents can easily link dozens of other Smart devices to the system. Each device has the ability to be controlled via in-home voice assistants, such as Amazon’s Alexa or the Google Home. Property management can manage and monitor permissions for each resident throughout the community via Epproach’s desktop interface. Schuyler Commons is providing residents with the property’s own branded Smartphone App, giving residents a quick and easy interface to control their Smart Home technology inside each unit. The App will also help to enhance communication between residents and staff via unified texts, emails and App notifications. The Burns Management App is available inside the Apple App or Google Play stores. Epproach Communications is also providing a Gigabit network infrastructure to not only support the ‘Smart’ apartment service but also provide residents with high-speed, reliable WiFi and Internet service. Certified Epproach technicians installed Enterprise Grade 802.11 AC wireless access points across the community.The Epproach system provides service in individual apartments and all common areas. Residents are able to securely connect to high-speed wireless internet using a state-of-the-art managed WiFi system that is monitored and supported 24/7/365. This system gives residents the ability to connect securely across multiple devices and stream video in an instant. The Managed Smart Home solution, the branded Burns Management App and the managed WiFi and Internet service is provided and supported 24/7/365 by Epproach Communications.